"The courteous and helpful staff at the reception, the waiter..."
Have a question for The Zuri White Sands, Goa Resort & Casino? "The location is awesome , the property is beautifully maintained." "Gardens are huge and well landscapes." "We also had great family fun at other activities like archer..."
Located on one of the longest beaches in the world, The Zuri White Sands, Goa Resort & Casino offers direct beach access. The resort is about 30 kilometers from the airport and close to all the water activities. The beach is quieter than others in Goa, thereby making it perfect for couples, and you can even enjoy private dinners on the beach - sure to be remembered long after the trip is over. This expansive property include a lagoon pool, three Jacuzzi's, a kid's park, and a water sports center. Spend your day lounging by the pool, indulging in some water sports, relaxing with an Ayurvedic massage at Maya Spa, improving your archery shot, or playing some simple air hockey. With the wide range of facilities on offer, guests will never find a dull moment. Whether guests are on a business trip, family vacation, or on a honeymoon, the beautiful setting and countless amenities of The Zuri White Sands, Goa Resort & Casino are open for all to enjoy. "It was a beautiful resort ." We were booked the Room in hotel for 24 feb 19. Hotel location is good its on the varca beach only , beach is very clean but u have to walk to beach around 200 mtr because the property is too huge. They have very nice pool and clean property. For pure vegetarian there is very less options or u have to go out atleast for 3km. If you are gping for casino its worthless for couple. Less standard crowed in casinos no couple friendly. They have live music bt that is not in hindi nore in english. Othrr than no activities there so after 7 o clock u have nthng to di except relaxing. Worst part is there is taxi union there and hotel cant help u in that so u have to pay a lot than usual charges that is too expensive. We have to pay 1000 bucks for only dropping from hotel to madgaon railways station (10km) and we have came from baga to varca 46km in only 1600 bucks. This resort is an over hyped and over rated property. It is an ordinary resort with an extra ordinary swimming pool. Food is of average quality. Breakfast is below average. They don't even check the quality of fruits. Many grapes were rotten in the breakfast. They did not even check what they were serving. TV in room is having hardly any channels. They don't have any control over taxi stand which is just outside their hotel, and can't stop looting of their guests by taxi owners. In fact staff patronised the taxi guys. Overall other than swimming pool it is an ordinary hotel. Rooms are old and ordinary. Though room size is good but no feeling of luxury. I don't recommend this hotel for staying. Casino is also in a room which is very congested and dirty. The carpet of casino has not been cleaned for months. Stay away. I booked Zuri reluctantly on the insistence of my brother-in-law who stayed there. They pleasantly surprised me in every way. The courteous and helpful staff at the reception, the waiters in the restaurant and the ground staff were always ready to help and offer suggestions without being in your face. The property is one of the best in goa. My two night stay made me change my mind and decide to stay there every time I visit Goa. Clean beaches away from the maddening crowd, huge pool area and outstanding landscaping makes it special. Big swimming pool. House keeping news to improve , frog & lizards found in outside room & room balcony. Average food when ordered for room service for dinner. Breakfast was elaborate & staff quite fast & efficient. Had bad experience with food not cooked properly when ordered for room service. Valet parking has to improve. Please train staff at reception as they answer rather rudely to customers. Our 1st stay around a year back was nice and we loved the property. We had a similar experience this time as well. 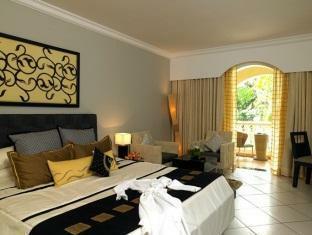 Zuri Goa is equipped with everything you need to make your trip a memorable one, especially for a family with kids. One thing which was an irritant.. connecting door between 2 rooms is a nuisance if you end up with a loud neighbour and to some extent it compromises your privacy as well. So ensure your room is an independent one and doesn't have a connecting door. 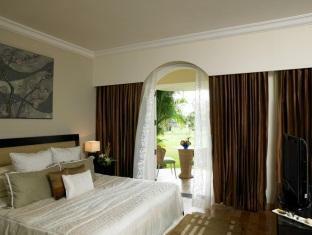 Okay facilities, clean and spacious room, tasty food, relaxing beach front. Only one not so okay- pricey taxi fare going from the hotel. Nice place to be with children . Staff are friendly and helpful. A bit of mosquito problem on lower floor with garden facing . Clildren play area is not available as shown in the hotel pictures.breakfast is above Standered. The location and the facilities are very good. I really liked the landscaping and the garden/pool. All the items that are charged are a bit expensive. It would help if the rooms are equipped for some basic cooking as it helps to take care of infants needs. We stayed at the Zuri with our 18 months old for 3 nights and it was beautiful. We booked the deluxe room which is spacious and very calm with all the toiletries that is required and a fantastic shower with 24hrs running hot water. Due to the ongoing BRICS meet in Goa we had a lot of foreign delegates staying who usually were out after breakfast and we had the whole resort to our selves. Room service is expensive like a tiramisu will cost you 636/- including taxes and so will brownie with ice cream. A mini bar is provided that is chargeable. You have many good food joints nearby and a small shop with some basic items along with alcohol, soft drinks etc named Michael's. 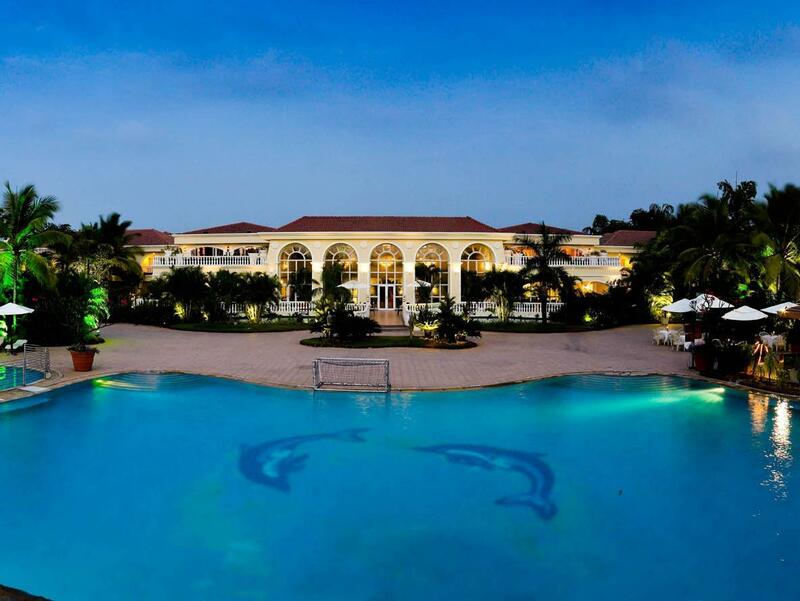 PROS: 1) Fantastic property of 37 acres with the largest meandering pool in Goa. They have an additional pool and a baby pool as well , all kept in superb condition. 2) We had such calmness every time as we got the last room on the top to the corner and there was barely any noise. Though the beach is a few minutes walk away we could hear the waves. 3) Excellent house keeping staff and the lawns were maintained in utmost condition. Hats off. Cons: 1) Room needs a little upgrade. It's started to wear out and look tired. As a 5 star you expect nothing but perfection. 2)Food needs to be better . Breakfast at the Waterfall Cafe was average and so was the dinner at the same place. Buffet dinner was charged at 1300 pp plus taxes , we got a 25 % discount. Overall I would definitely recommend this resort if you need to relax and have your own transportation as it's far from other spots in Goa. Very peaceful and relaxing which is how i wanted my this holiday to be ! this is my 2 nd stay in Zuri hotel Also i left one book with some money inside it by mistake and hotel staff was very helpful in arranging return by parcel to my mailing addressc immediately . Overall a very stay for 3 nights . Very fun and relaxing stay at the hotel. Clean beach with white sands was great and just 5 mins walk from room. There is also a wide range of outdoor activities which was of good enjoyment. Buffet breakfast has a wide spread. Fine dinning dinner was excellent. Only set back was, wifi was not working in the room and have to sit at biz centre for access. House keeping service to be improved at least twice or need basis to clear and replace toiletries as and when used. This is n amazing beach resort. The beach (Varca) is a beautiful one and its an effectively private beach for this resort. Although we went there in monsoon season, do the beach shack operated by the resort was closed. But overall the food and the facilities in the resort were good. Specially the bar with seats inside the pool. Rooms were adequately sized and well maintained. The swimming pool is big and nicely maintained. A 24 hour menu is there for room service, specially useful for small kids. They have one main restaurant and one asian/Japanese restaurant inside the resort. Don't expect much from the Casino. Its a dark and confined place, and can be totally avoided by casual onlookers. I traveled rainy season with a group of 7. The location is awesome , the property is beautifully maintained. Pools are safe for toddlers. 2 improvements 1- Taxi services monopoly must be broken. The charges are exorbitant. And you cannot book your own, you need to go through the hotel, infact no other taxi driver will be ready to serve you because of they action they fear after the travel. 2- Room , bathroom and gallery fresheners. Would be great if all places are mildly refreshed with lemon grass etc. Infact they have enough place to plant natural lemon grass fragrance. Rainy season can be smelly and this can be avoided. Natural repellents act as safeguard against insects in rainy season. the overall property is wonderful for the location and the staff. 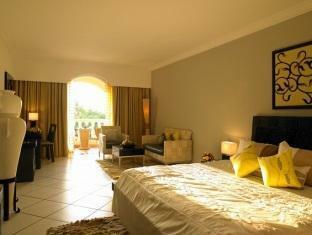 the rooms have issues with respect to ventilation in the bathrooms and an ageing Air conditioning system.